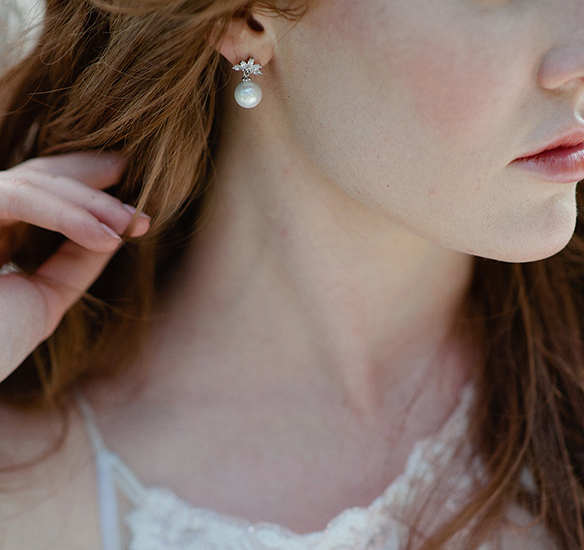 These dainty beauties are simple elegance. The cubic zirconia triangle feature with the pearl dropping from it creates a subtle finish. Finished in white gold with a sterling silver stud.